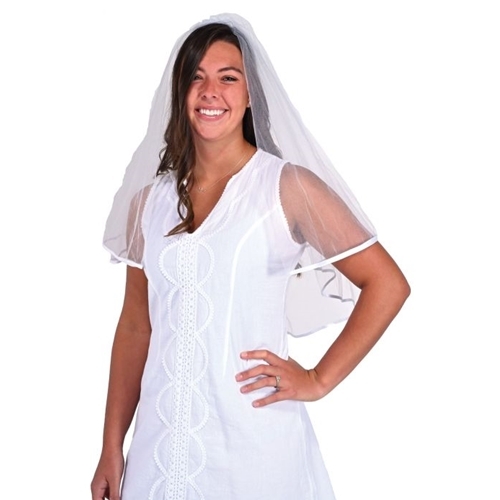 This bridal veil is perfect for a number of different costumes and events. It can be used for Bachelorette parties, bride costumes, or for Fiona as bride in Shrek the Musical. The bridal veil features a white headband with attached flowers and veil lace netting. Headband is made of flexible plastic for comfortable one size fits most sizing.